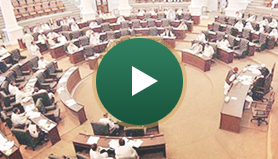 In exercise of the powers conferred upon him under clause 3 of the Article 54 read with Article 127 of the Constitution of the Islamic Republic of Pakistan the honorable speaker has summoned the session of the Provincial Assembly of Khyber Pakhtunkhwa to meet on Friday the 15th March 2019 at 2:00 p.m in the Assembly building of the Provincial Assembly, Khyber Road Peshawar. A capacity building workshop on Legislative Drafting arranged in collaboration with the SUBAI PAKISTAN-EU support for strengthening of the democratic institutions in Pakistan will be held on 21-22 March 2019 at 10.30 A.M at P.C Hotel Peshawar. Following Members have been invited to attend the workshop.